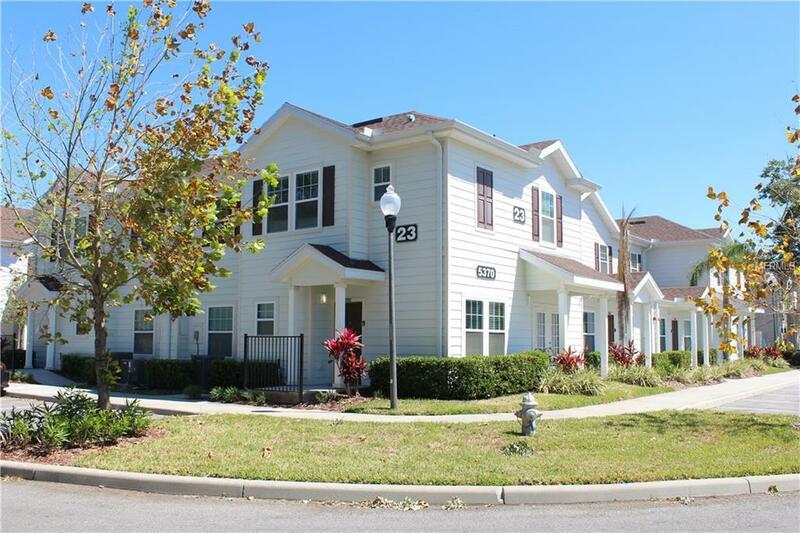 Location..location..location...just got in the market, 4/3 furnished townhouse in very good condition built in 2014. Living room and master bedroom one he first floor with walk-in closet. Designed and decoration fully furnished with furnishment almost brand new and zoned for short-tem rental. Including Satinless Still Appliances and granite countertop. This is a very desiriable location with eletronic Gate, gym resort style pool, game room. 15 minutes away from theme parks and outlets.